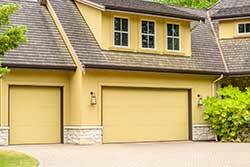 Security Garage Doors has a lot of experience with residential garage door servicing and replacement. Our team has been active in the Seattle, WA area for several years and we have a large number of happy customers willing to vouch for us. Our team is regularly trained and taught the ins and outs of the garage door industry, so they can recognize all kinds of residential garage door systems and fix almost every problem you’re ever likely to encounter in quick time. Our team is comprised of thorough professionals who know how to listen, so they will take your concerns and unique preferences into account before working on your door. We will replace your residential garage door as well as repair or help you maintain it. We have a wide variety of residential garage doors available for you to choose from. 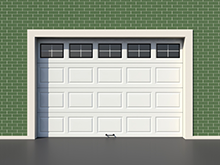 Our steel garage doors are sturdy, can withstand extreme weather and can protect your garage from vandals. Our wooden garage doors, on the other hand, are much simpler and more elegant and go well with stylish-looking homes and are suitable if you live in a high-security gated community. We will also make custom garage doors to suit your unique needs. We use only the best materials for the job. Garage doors can only go so long before falling foul of the weather. If not tended regularly, moisture can begin to affect your garage door and even begin to enter your garage itself. Security Garage Doors offers weatherstripping services to residents in Seattle, WA to help keep their garage door (and garage) weather proof. Talk to our technicians to know about installing weatherstripping today!